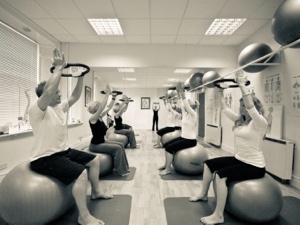 Pilates Studio Cumbria is situated in the centre of Kendal. Jan Nicholson, STOTT Pilates Instructor, provides group Pilates classes and 'one to one' sessions with a prepared personal Pilates programme in a friendly social enviroment. The studio is well equipped, bright and spacious, providing an excellent environment to practise Pilates under the supervision and guidance of an instructor with knowledge, experience and advanced professional qualifications. If you have any questions about Pilates, are interested in taking lessons or would like any further information, please contact Jan by using the details given on the Contact page. Pilates Studio Cumbria is situated on Highgate next door to Iceland.